In this one-on-one interview, the doctor who runs the website known as social media’s leading physician voice talks about his journey, passion and future plan. Meet blogger, patient advocate, healthcare leader and founder of www.KevinMD.com, Dr. Kevin Pho. Dr. Kevin Pho is a board-certified internal medicine physician and founder of KevinMD.com, which Forbes called a “must-read health blog.” Klout named him the web’s top social media influencer in healthcare and medicine, and CNN has named @KevinMD one of its five recommended Twitter health feeds. He is co-author of the book: Establishing, Managing, and Protecting Your Online Reputation: A Social Media Guide for Physicians and Medical Practices. Transforming his social media presence into a mainstream media voice, he has been interviewed on the CBS Evening News with Katie Couric, and his commentary regularly appears in USA Today, where he is a member of their editorial Board of Contributors, as well as CNN and the New York Times. His opinion pieces highlight the challenges real-world doctors face, ranging from the primary care shortage to the epidemic of physician burnout. There is no mistaking social media has and will continue to be integrated into our lives. Here, a medical leader on this topic today discusses his journey, passion and future. 1. Why did you decide to pursue a career in medicine? I’ve always believed that everyone should have a voice. Especially those who are sick and in need of health care. In our healthcare system, patients often don’t have a voice and are left to navigate a dysfunctional system on their own. One of the reasons I became a physician is to give patients that voice, become their advocates, and guide them through the maze of our health care system. 2. What motivated you to create www.KevinMD.com and start blogging about healthcare? Just as patients need a voice, so do physicians. Too often, the doctors you hear in the media aren’t on the front lines; they aren’t representative of those who actually see patients. There’s plenty that can be improved in our health care system, and it’s important that practicing physicians’ stories are heard by politicians and decision makers so we can articulate and overcome the obstacles to patient care. Social media can also bridge the communication gap with patients. Sometimes, I sense there’s a bit of tension between doctors and patients; each side as an “us” vs. “them” mentality. We need to take a step back and realize that both sides want the same thing: better care for patients. How can we bridge that gap? By sharing stories from both doctors and patients. By reading patient stories, doctors can better empathize with the difficult healthcare journeys that patients often face, and patients can better understand the obstacles doctors face in providing care. If we truly want to make a difference in health care, doctors and patients need to be on the same side. Sharing stories on social media brings us together. And that’s my ultimate goal behind KevinMD. 3. You have been at it for years, but is there a post or project that stands out as your most important work thus far? I don’t have specific post, but more of a topic: clinician suicide and burnout. Did you know that the equivalent of a medical school full of doctors commit suicide every year? It’s a topic that isn’t often acknowledged or reported in mainstream media. But it’s real, and it matters. Not only should doctors hear about it, but patients as well. After all, if we can’t take care of ourselves, how can we expected to take care of patients? I’ve published hundreds of heart-breaking stories from burned out doctors and medical students, and they all say how valuable it is to have a platform where they can share their story and let others in the same boat know that they’re not alone. Shedding light on this hidden challenge of the medical profession is one of the more important ways to leverage KevinMD’s influence. 4. Through www.KevinMD.com and social media accounts @KevinMD you reach a truly profound number of people each month. Which topic do you feel your audience is most interested today? In addition to clinician burnout, KevinMD has been called a “safe space” for honest clinician discussion of topical health care issues: such as patient satisfaction scores, drug and diagnostic test pre-authorizations, pay for performance measures, and the opioid epidemic. It’s important to have a forum where clinicians can debate and discuss these challenges. And notably, having this forum based in social media includes patients. Not only can they be informed, it also provides a direct conduit to clinicians so their input can be heard and included as well. 5. Does antibiotic resistance rank among the list of popular topics for your audience? Do you have any advice for people in the world of infectious diseases to help spread the message about the global health threat of antibiotic resistance? Absolutely. I have many posts documenting this challenge. Clinicians are caught between two competing forces: the pressure to raise patient satisfaction scores by acquiescing to antibiotics demands, and the need to rein in antibiotic use. 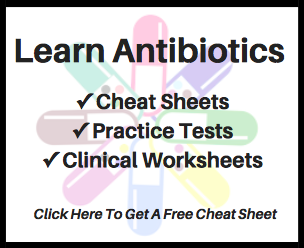 It’s not enough to simply say, “prescribe fewer antibiotics,” but also to educate patients about the downsides of antibiotics and share practical tips that clinicians can use in the context of a rushed, 15-minute office visit, clouded by the spectre of patient satisfaction. 6. What can we expect in the future from www.KevinMD.com? I’ve been amazed at the trajectory of KevinMD. When I started back in 2004, I had no idea that the site would blossom into what it is today. What this shows is that there is a need for a forum where doctors and patients can share their stories, their opinions, and their solutions. If we want to improve our health care system, it cannot come from the top-down. It must come from those who know it best: practicing clinicians and patients. I would like to express my utmost appreciation to Dr. Pho for taking time out of his busy schedule to participate in this one-on-one, so that this valuable information can be shared.